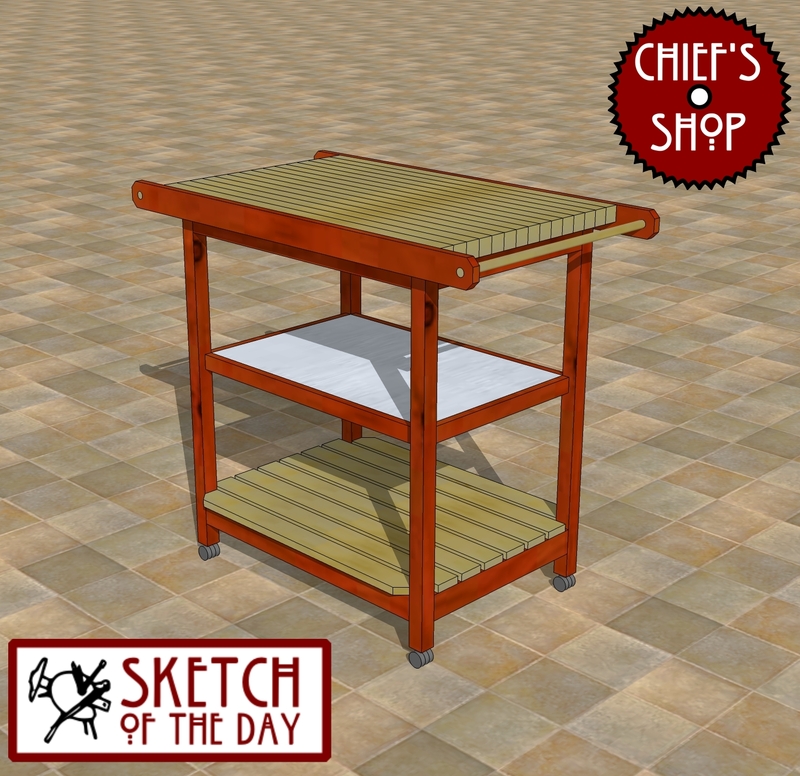 This kitchen island cart concept features a butcher block top, and middle shelf with a metal cover, and a slatted bottom shelf. If a Sketch of the Day becomes popular, or is directly requested, it eventually becomes a plan. Not all of the Sketch of the Day posts do, however.